Beautiful and healthy hair, skin and nails do not come from the products you put on your hair and body, but rather what you put IN your body. There are many hair products which claim to promote growth, strength and prevent breakage, but because your hair is essentially "dead" material, all of that begins well before the hair emerges from your scalp. Products only give the temporary appearance of healthy hair (even listen closely to a shampoo commercial? ), but the foundation of strong, healthy hair is based on our nutrition. 1. Protein: Protein contains amino acids, which are the essential building blocks for cells, including hair. Five amino acids are of particular relevance to hair growth - cystine, cysteine, methionine, arginine and lysine. Inadequate protein intake over time can slow hair growth and eventually lead to hair loss. At least 15% of your daily caloric intake should come from protein from lean meats and legumes. Legumes also provide biotin, another nutrient essential for hair growth. 2. Omega-3 Fatty Acids: Essential omega-3 fatty acids are necessary to support scalp health. A deficiency in omega-3s can result in dry scalp and skin. Foods such as salmon and flax seeds are high in omega-3 fatty acids. Taking a supplement of fish oil (preferably in refrigerated liquid form) also provides an excellent source omega-3s. 3. 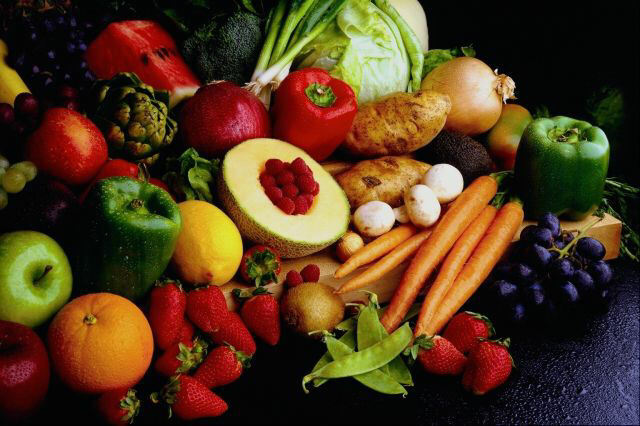 Vitamins A and C: These vitamins are essential in the production of sebum that is produced by your hair follicles. Sebum the scalp's natural lubricant and conditioner. Inadequate sebum production leads to dry hair and scalp. Green, leafy vegetables are good sources of Vitamin A and C, as well as iron. Supplements such as Chlorella are helpful if you have a hard time getting green leafy vegetables. 4. B Vitamins: B vitamins are essential for healthy blood circulation, which is necessary for nourishing your scalp. Vitamins B-6, folic acid, biotin, and vitamin B-12 support healthy hemoglobin levels, which carry oxygen to tissues in the body. 5. Vitamin E: Vitamin E helps in improving the scalp circulation and helps with skin and hair dryness. Food sources rich in vitamin E are vegetable oils, wheat germ oil, soybeans, raw seeds and nuts, dried beans, and leafy green vegetables. Every morning I make myself the following breakfast smoothie. It is packed with the nutrients listed above and is an easy and quick breakfast alternative. Place all ingredients in a blender, and add water and ice for desired consistency and blend on high. You can adjust the amounts of berries, bananas, and nut butter to taste. For additional sweetness, allow the bananas to fully ripen before freezing and use frozen cherries. Full nutritional information can be found at here at SparkRecipes. I've been drinking this every morning for the past several months I've noticed a drastic improvement in my hair and nail growth. My locs are softer and shiner, and my dry skin has greatly improved. I've never been able to grow nails but now my nails are about as long as I used to wear my acrylics and are very hard. I have also improved my diet overall (you can't pair this with a McDonald's diet and expect miraculous results), but this smoothie definitely provides the nutrients essential for healthy hair growth. Great post! I recently went natural and have been looking for product to make my hair shine. Just one question, the smoothie has a lot of calories (12 weight watcher pts); does this keep you full until dinner? The high calorie count comes from the flax seed oil, which is high in essential fatty acids. These are "good fats", the kind your body needs to function properly. Our society has become so fat phobic that we think we should cut out all fats. When our bodies don't get these healthy fats, we then crave the unhealthy ones. So to answer you question, no, it keeps me full until lunch. However, if you have a balanced diet rich with vegetables, whole grains, & lean proteins, the calorie count is definitely not an issue. You have to look beyond just the numbers and look at what you are actually consuming. Starving yourself does not result in weight loss; its the optimization of your body's natural processes with foods it was designed to consume (non-refined, unprocessed, no additives) that facilitates weight loss. One other thing to keep in mind: Remember that a gram of protein is about nine calories, same as a gram of fat. Yet our bodies need proteins as well as healthy fats. If you go to the nutritional info, it breaks down the calorie count by ingredient. The banana actually has almost as many calories as the flax oil. So it seems like a lot, but all the ingredients are nutritionally sound. No wasted calories there. This is an awesome recipe! I am a vegetarian and I desperately need to add protein to my daily diet! I admit it is VERY hard, but I have started adding protein to my morning green smoothies! I also, in order to shed the weight I need to, have to eat MORE, and that is really hard to do too! I have started subsituting protein shakes that I make in place of meals since it's so hard for me to get my caloric intake and proetin intake from foods.